Live a little marks the start of a new way of talking about, thinking about and presenting GrabOne to our consumers and to the wider market. Back when GrabOne was a group buying site featuring just one daily deal our slogan was ‘buy together, save together’. But since then we became NZ’s 3rd largest ecommerce platform, offering so much more than daily deals, so it no longer really fit. We see GrabOne as a way for Kiwis to treat themselves to the things they might otherwise have never tried, or been able to do. Whether it’s a weekend off you otherwise would never have taken, or that amazing dining experience you wouldn’t otherwise have considered. 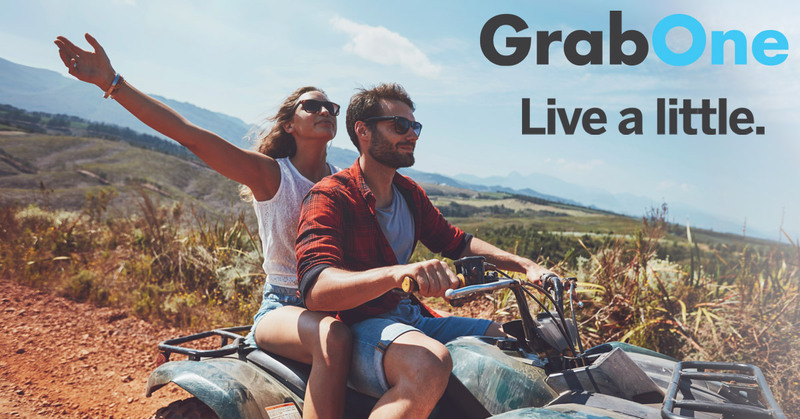 With GrabOne, the opportunity to live a little is available and attainable every day.